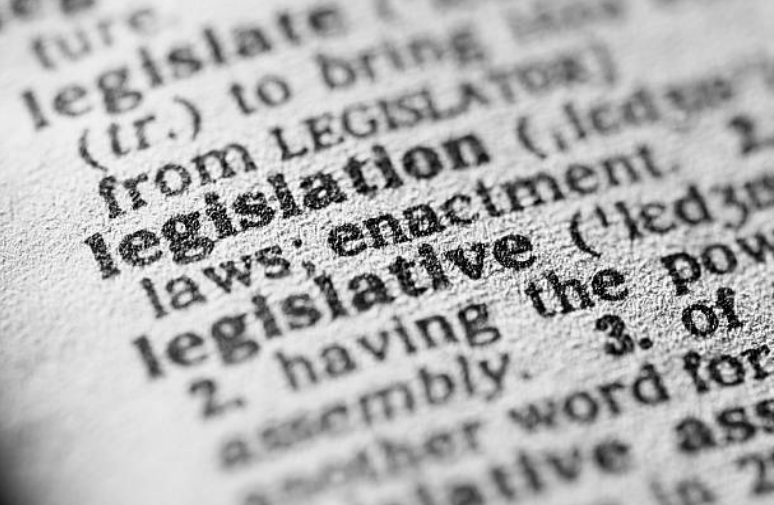 In this edition of our regular update on legislative developments in employment law, we focus on the much anticipated Employment (Miscellaneous Provisions) Bill 2017, which prohibits the use of zero hours contracts, and introduces the concept of ‘banded hours’ for workers on low hours contracts. We look at the Social Welfare Bill 2017, which extends maternity leave entitlements in the event of premature births, and outline the newly commenced reporting obligations for a range of professionals under the Children First Act 2015. Our update also covers legislation providing for pay restoration for public servants, minimum indemnity requirements for medical practitioners, employer obligations as part of the affordable childcare scheme, and the establishment of the Financial Services and Pensions Ombudsman. We also track the progress of the Finance Bill 2017. Employment (Miscellaneous Provisions) Bill 2017 – new protections for employees on zero hours and low-hours contracts. Childcare Support Bill 2017 – statutory basis for Affordable Childcare Scheme introduced. Equality (Miscellaneous Provisions) (No.2) Bill 2017 – proposal to include ‘mental health status’ as a protected ground for the purposes of the Employment Equality Acts 1998 – 2015. Finance Bill 2017 – Bill passed by both Houses of the Oireachtas. Public Service Pay and Pensions Bill 2017 – Bill providing for pay restoration for public servants on a phased basis introduced. Social Welfare Bill 2017 – extension of maternity leave entitlements in the event of premature births. Superannuation (Designation of Approved Organisations) Regulations 2017 (SI No 460/2017) – Statutory instrument providing for transfer of pensionable service between staff of approved organisations. Oireachtas (Termination Allowance) (Amendment) Regulations 2017 (SI No 461/2017) – extension of scheme of severance payments for outgoing members of the Oireachtas. Statistics (Employer Identification Inquiry) Order 2017 (SI No 467/2017) – employers required to provide PPS number of employees. Children First Act 2015 (Commencement) Order 2017 (SI No 470/2017) – reporting obligations for ‘mandated persons’ commenced. National Transport Authority Superannuation Scheme 2017 (SI No 471/2017) – adoption of rules in relation to superannuation benefits for staff of the National Transport Authority. Rules of the Superior Courts (Service) 2017 (SI No 475/2017) – new rules for service of proceedings. Medical Practitioners (Amendment) Act 2017 (Commencement) Order 2017 (SI No 481/2017) – medical practitioners required to have minimum level of indemnity. Financial Services and Pensions Ombudsman Act 2017 (Commencement) Order 2017 (SI No 524/2017), Financial Services and Pensions Ombudsman Act 2017 (Establishment Day) Order 2017 (SI No 525/2017) – 1 January 2018 appointed as establishment day for Financial Services and Pensions Ombudsman. National University of Ireland, Maynooth Employee Superannuation Scheme 2017 (SI No 542/2017) – adoption of rules in relation to superannuation benefits for certain NUI Maynooth employees. The protection of employees from penalisation. Currently, the Terms of Employment (Information) Act 1994 requires employers to provide an employee with a written statement setting out 15 terms of employment no later than 2 months after the commencement of employment. Under the Bill, an employer will be required to provide an employee with a written statement of five core terms of their employment within 5 days of commencing employment, with the remaining terms of employment to be provided within 2 months. The number of hours which the employer reasonably expects the employee to work per normal working day, and per normal working week. Where an existing employee requests that his or her employer provide a written statement of these five core terms of employment, the employer must provide the written statement within 2 months. An employee must have at least one month’s continuous service with the employer before referring a complaint to the Workplace Relations Commission in respect of a failure to provide a written statement of the 5 core terms. An employer who fails, without reasonable cause, to provide an employee with the required written statement within 1 month of the date of commencement of employment, or who deliberately provides a false or misleading statement to the employee, will be guilty of an offence. If convicted, an employer will be liable to a fine of up to €5,000 or a term of imprisonment not exceeding 12 months. Where an offence is committed by a company with the consent or connivance of an officer of that company, both the individual and the company will be guilty of an offence. Proceedings for such an offence may be brought in the District Court by the Workplace Relations Commission. In any such proceedings, it is a defence for an employer to show that due diligence was exercised and reasonable precautions taken to ensure that the above requirements were complied with. for both a certain number of hours and otherwise as and when the employer requires him or her to do so. The Bill provides for the prohibition of zero hours working practices in most circumstances. Where a contract of employment provides that an employee must make himself or herself available for work in a given week for a certain number of hours, or for both a certain number of hours and otherwise as and when required, the minimum number of hours in the contract must be greater than zero. This requirement will not apply to work done in emergency circumstances, or short-term relief work to cover routine absences for the employer. Minimum payments are also introduced for workers who are not provided with a certain minimum number of hours of work in a given week. Where the employee concerned works a certain number of contract hours, he or she will be entitled to a minimum payment where he or she is required to work less than 25% of the hours in a given week. Similar provision is made for employees who are employed on an ‘if and when' basis. The minimum payment is calculated as 3 times the national minimum hourly rate of pay, or 3 times the minimum hourly rate of remuneration provided for by an applicable employment regulation order. This requirement does not apply in cases of lay-off or short-time, in exceptional circumstances or an emergency, or where the employee would not have been available for work for the minimum period (whether due to illness or otherwise). These new protections do not however apply to 'on call' workers, who are required to make themselves available to deal with emergencies or other events that may or may not occur. Further, the protections do not apply in circumstances where an employee is required to make himself or herself available for work in a given week by virtue only of the fact that the employer has engaged the employee to do work of a casual nature on occasions prior to the relevant week. The Bill introduces a new concept of ‘banded hours’ into the Organisation of Working Time Act 1997. Where an employee’s contract of employment or statement of employment does not reflect the number of hours worked per week by an employee, the employee is entitled to be placed in the appropriate band of weekly working hours. The appropriate band is determined by the employer having regard to the average number of hours worked by the employee in the relevant 18 month reference period. the average hours worked by the employee during the reference period were affected by a temporary situation that no longer exists. Where the employee’s request is granted, they must be placed in the appropriate band within 2 months of the date of the request. An employee who is placed in a band of weekly working hours must work the average hours for that band for a period of at least 18 months. The above provisions do not apply to banded hour arrangements entered into on foot of collective bargaining. An employee may refer a complaint to the Workplace Relations Commission in relation to a failure to comply with the banded hours provisions. Where the complaint is well founded, an adjudication officer (or the Labour Court, on appeal), may require the employer to place the employee on the appropriate band of hours. The Bill provides that an employer must not penalise or threaten to penalise an employee for invoking their rights under the 1994 Act (as amended), opposing in good faith and by lawful means an act that is unlawful under the 1994 Act, giving proceedings in evidence under the 1994 Act, or giving notice of his or her intention to take any of these steps. This provision does not however apply to the making of a complaint that is a protected disclosure for the purposes of the Protected Disclosures Act 2014. Where the act of penalisation constitutes a dismissal, the employee must elect between bringing proceedings under the 1994 Act or under the Unfair Dismissals Acts 1977 - 2015. The maximum award that can be made in respect of an act of penalisation is an amount equivalent to 4 weeks’ remuneration for the employee concerned. The Bill was introduced on 5 December 2017 and has not yet been referred to second stage. It may be that further amendments will be made during the course of the legislative process, and we will provide further updates in this regard. This Bill is intended to provide a statutory basis for the existing Affordable Childcare Scheme, under which financial support is provided to parents in respect of the costs of childcare. The Bill provides that employers of applicants under the scheme must give the scheme administrator details in writing relating to the employment of the applicant for childcare support in order to verify whether the applicant is currently employed. A person who fails to comply with this section, or regulations made under this section, will be guilty of an offence. This provision has been inserted in circumstances where the Bill permits the Minister for Children and Youth Affairs to vary the number of hours of income-related financial support having regard to the extent of an applicant parent’s participation in the labour market. This Private Members’ Bill, introduced by Fianna Fáil, provides for the inclusion of ‘mental health status’ (defined as emotional, psychological and social wellbeing), as a discriminatory ground for the purposes of the Equal Status Acts 2000 – 2015 and the Employment Equality Acts 1998 – 2015. The Finance Bill 2017 has now been passed by both Houses of the Oireachtas, and awaits signature by the President with a view to commencement on 1 January 2018, subject to certain exceptions. As outlined in our update for October 2017, the Bill introduces a number of measures of interest to employees and employers, in relation to the new Key Employee Engagement Programme (KEEP), the tax treatment of employer-provided loans, reform of PAYE processes for employers, tax treatment of provision of electric vehicles and charging points to employees, and the tax treatment of certain benefits for employees of health or dental insurers. This Bill provides for the restoration of basic salary for public servants, together with the restoration of pensions, on a phased basis. The Bill repeals the Financial Emergency Measures in the Public Interest Act 2009, and provides for the conversion of the Pay-Related Deduction provided for under that Act into a permanent Additional Superannuation Contribution for all public service pension scheme members. The Bill was passed by the Dáil on 7 December 2017, passed through second stage in the Seanad on 12 December 2017, and was at committee stage before the Seanad on 14 December 2017. This Bill provides, amongst other matters, for the extension of the entitlement to maternity leave and maternity benefit payments in the event of premature birth. The Maternity Protection Acts 1994 and 2004 are amended to provide for an extended period of maternity leave in the case of premature births that occur on or after 1 October 2017. A pregnant employee will be entitled to a further period of maternity leave if the date of birth occurs more than 2 weeks before the expected date of birth. The length of the further maternity leave is equivalent to the 'premature birth period', which is defined as a period which commences on the date of birth, and expires 2 weeks before the end of the expected week of confinement. Consequent amendments are made to provide for an additional entitlement to maternity benefit payments in the event of a premature birth. The Bill also amends the term ‘share-based-remuneration’ as currently provided for under the Social Welfare Consolidation Act 2005 so as to facilitate the introduction of the Key Employee Engagement Programme by means of the Finance Bill 2017, which has now passed both Houses of the Oireachtas. Pursuant to this amendment, gains realised on the exercise of share options by employees of qualifying small to medium enterprises will not be subject to PRSI. The Superannuation and Pensions Act 1963 provides for the transfer of pensionable service in the event of a transfer of staff as and between the civil service and certain approved organisations (and between such approved organisations). These regulations designate a number of organisations as approved organisations for the purposes of the 1963 Act. The Oireachtas (Termination Allowance) Regulations 1992 provide for a scheme of severance payments for outgoing members of the Oireachtas. The purpose of these amending regulations is to include within the scope of this severance payments scheme those Oireachtas members who are members of the Single Public Service Pension Scheme. The Statistics Act 1993 provides that the Taoiseach may prescribe by way of Order those persons and undertakings who are required to provide information under the Act. This Order requires persons or undertakings to whom it applies to provide the PPS number of each employee of the person or undertaking for the years 2015 – 2019. This Order provides that those parts of the Children First Act 2015 which are not already in operation would commence on 11 December 2017. From an employment law perspective, the most significant of the provisions which have now come into operation relate to the reporting obligations of ‘mandated persons’. A list of ‘mandated persons’, which includes a very wide range of professions and occupations, is set out in Schedule 2 to the 2015 Act. A mandated person who knows, believes or has reasonable grounds to suspect that a child has been harmed, is being harmed, or is at risk of being harmed, must report that knowledge, belief or suspicion as soon as practicable to the Child and Family Agency (also known as Tusla). This reporting obligation is subject to certain exceptions, and only applies to information that a mandated person becomes aware of on or after 11 December 2017, irrespective of whether or not the harm occurred before or after 11 December 2017. The 2015 Act provides for the making of reports to authorised members of the Child and Family Agency by means of a mandated report form. Where the Child and Family Agency receives a report from a mandated person, it may request any mandated person whom it reasonably believes may be in a position to assist the Agency to provide such information and assistance as the Agency reasonably requires, and as is, in the opinion of the Agency, necessary and proportionate in the circumstances. Mandated persons are required to comply with such requests as soon as practicable. Any information or documentation provided to the Agency is inadmissible in evidence against that person in any civil or criminal proceedings, and the furnishing of that information or documentation cannot give rise to any civil liability. This statutory instrument provides for the adoption of the existing rules under the Rules for Pre-existing Public Service Pension Scheme Members Regulations 2014 (SI No 582/2014) for the purpose of providing superannuation benefits to the staff of the National Transport Authority, subject to certain amendments. This statutory instrument amends the existing rules relating to the service of proceedings. Under the new rules, which came into effect on 27 November 2017, a party may consent to the receipt of documents by email. The new rules also provide for the service of proceedings by registered post as an alternative to personal service, with certain exceptions. The rules are further amended by the substitution of various forms for the initiation of proceedings, including forms frequently used in the context of employment litigation before the High Court. This Order commences the Medical Practitioners (Amendment) Act 2017 with effect from 6 November 2017. Among the most significant amendments introduced by the 2017 Act is the requirement that medical practitioners have a certain minimum level of indemnity in place. The functions of the National Treasury Management Agency have been widened to include that of specifying the minimum level of indemnity for medical practitioners, after consultation with the Medical Council. This Order provides that the Financial Services and Pensions Ombudsman Act 2017 will come into operation from 1 January 2018. 1 January 2018 is also appointed as the establishment day for the purposes of the 2017 Act, such that the Financial Services Ombudsman’s Bureau, the Financial Services Ombudsman Council, and the Office of the Pensions Ombudsman will be dissolved on this date, and their functions transferred to the newly established Financial Services and Pensions Ombudsman. The 2017 Acts sets out revised procedures for the investigation of complaints by the newly created Ombudsman in respect of matters including the conduct of a pension provider in respect of financial loss alleged to arise from an act of maladministration, and any disputes of fact or law that arise in relation to conduct by or on behalf of a pension provider. This statutory instrument provides for the adoption of the existing rules under the Rules for Pre-existing Public Service Pension Scheme Members Regulations 2014 (SI No 582/2014) as the rules for the provision of benefits under the National University of Ireland, Maynooth Employee Superannuation Scheme 2017, subject to certain amendments. This scheme is deemed to have commenced with effect from 29 November 2004.